Vocal delivery overall is spot-on, meticulously sung and arranged. Shaindel can deliver vocally. Lots of acoustic guitars on this album, super fun at times. Lyrically, very mature for a girl of 18, its actually quite astounding what a talented writer Shaindel is. The mix is masterful. The guitars are bright and exciting, so melodious, creative and fresh. Here is a breakdown of the songs..
Closer to you-chilled, i like the vocals on that one a lot, love the sound on the guitars at the end. Don’t let go-Love the lyric “everyone is breaking promises they said they would keep” Good song topic, i like the concept-deep in a sleep-great vocal on the word “spark”, and the acoustic guitar bass run is awesome. the na na nas at the end are heavenly, delicious.. The Light-One of the best song on the album lyrically and conceptually. Great Female Anthem. The harmonies are spot on and the jazz guitar chords in the quiet chorus keep it really interesting . Middle of Nowhere- The vox on this are very confident and mature. The concept of the song is a bit repetitive though, feel like I’ve heard this a few times from Shaindel already..strong vox run at the end. Stars-good song for teens, expressing pain and depression in a song, a subject often difficult to discuss, important message, love the da da das, guitars are beautiful, lyrically the word amazing is used a little too much on the cd overall.. The Journey- Great beat, GREAT song lyrically, the phrasing is excellent, one of my favorite. Not crazy about the bridge lyrics- a little cliche, but the phrase following it is great- so pop-y. Singing is again SPOT-ON. prefect song for a fade out..
Second Chance- Intro is so eighties, LOVE IT. Cute idea for a song, love the lyrics ‘don’t lose this chance’ Important message. Concept reminds me of Carrie Underwood songs ‘wasted’. Good vocal arrangement. One and only- I’m a sucker for that kinda guitar riff. Nice confessional song to Hashem. Very relatable. Why-This song I feel is a little repetitive topic wise but strong vocal arrangement, keeps it interesting. Wonderful to hear Hebrew words for a change, id love to hear more of that on the next album. You are there- Mellow, love the country sound! Very radio friendly chorus. Catchy and singable. This begs a music video. The reggae beat is lovely, so original. Guys your dad is a rockstar. Seriously, wanna trade dads? We have a pool. Beautiful Day-The lap guitar is something you don’t hear everyday so I was taken aback at first. Very unusual chord matchup with the verses Can’t figure out how this came together but i love the chorus, this song sticks in your head. I hear it on the WB, on one of those teen shows. Very creative melody-wise. The most innovative of the album. CRAZY about the vocal effect on this. PERFECTION. Miracles- Good solid song- One critique/advise. Time to end your relationship with the word AMAZING. Otherwise, very song really captures the holiday spirit. This is an album worth every penny. It’s catchy, great hooks, singable and meaningful. 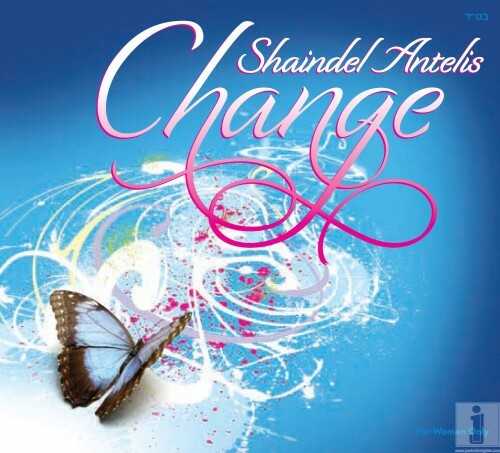 Shaindel made her self a front runner in female music industry with this album. Shaindel’s album is FOR WOMEN ONLY!